Today let’s talk about equipment. No, I’m not getting up close and personal here. I mean journaling equipment, of course. Believe it or not, the tools you choose to use to journal with will have a major influence on whether or not you actually try your hand at journaling and how successful and consistent you will be. If you’re skeptical, just keep reading and work with me. Journaling can be anything from pleasant to downright cathartic, but overall it’s a gratifying experience. 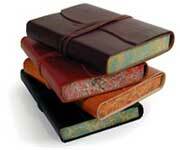 Part of the key to obtaining the most benefit from journaling rests with choosing a journal mode, i.e. a “home” for your journal writing, which would make the practice something you will look forward to and keep you writing consistently day after day (or night after night, depending on which time suits you best). It all starts with a book with blank pages in it, preferably one that is nicely bound, with an attractive cover, which will inspire you to crack it open on a daily basis. Just be sure not to choose one that is so beautiful you won’t want to sully its pages with your scratching! Michael’s or similar types of art stores, as well as Barnes & Noble and other brick and mortar bookstores, carry an almost limitless variety of these books in all sizes, shapes and formats. You can even find journals geared toward special groups such as teenagers. If you are planning to do sketches, add pictures, or paste in mementos (e.g. for travel journaling), you might prefer an artist sketch book with a heavy cover. Using this format can make your journal into something you will enjoy going back to again and again. If you only want to chronicle your emotional states, you might go with the more traditional diary book with only blank pages. I do suggest a pretty cover, however. That way if you’re feeling a bit lazy about getting to it, the cover will hopefully draw you in. If you’re like me and you can’t write in straight lines, choose a lined blank book or a simple notebook. I used to be embarrassed about my inability to keep my lines straight, and at times I was able to find books with pleasing covers that also had pages with lines. Plus the beauty of a “simple notebook” is that it’s inexpensive and easy to tote around. If you are a perfectionist who doesn’t want to “spoil” your pages by scratching out, and you like to compartmentalize, use a loose-leaf, binder style notebook. You can find these in small sizes, if you’re concerned about storing them in small spaces. If you travel a great deal, you might want to invest in a “mini” size journal for ease of portability. Sam Flax is one of my favorite sites for browsing these types of journals. The quality is super, and the variety is positively inspiring. In part 2 of this article, I will further explore your options for selecting a journal, as well as discuss the various types of implements from which you can choose. From my experience, the implement is just as important as the book in which you write. Tune in next time for more info. Meanwhile, here is another quote to keep you motivated. If you know who said the following, please feel free to send in your guess. If anyone of you comes up with the correct author, I’ll mention you in the next article. Former Metropolitan Opera violinist ERICA MINER has had a multi-faceted career as an award-winning screenwriter, author, lecturer and poet. 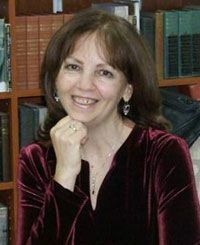 Her screenplays have won awards in recognized competitions, and her debut novel, Travels With My Lovers, won the Fiction Prize in the Direct from the Author Book Awards. Erica’s 1960s coming-of-age novel, FourEver Friends, published in 2009, was written with Baby Boomer Women in mind. Her highly anticipated suspense thriller, Murder In The Pit, released in June of 2010, has received five-start reviews across the board. Learn more about Erica on her website, EricaMiner.com.